This is 365 Days Premium plan for any one ( keep2share.cc k2s.cc fileboom.me and publish2.me ). 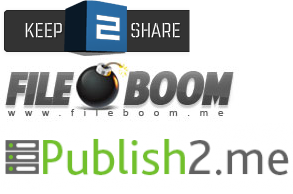 keep2share.cc k2s.cc fileboom.me and publish2.me is controlled by same platform so a premium code is valid to extend anyone of these site account. These are genuine premium voucher without expiry date. After complete register your account click on My Account: http://keep2share.cc/auth/code.html and enter given coupon code.And your free account will convert in premium account. Please copy and paste exact code not extra space. Спасибо большое! После оплаты получил код на почту через несколько минут!